As a blogger, saving and transferring pictures and files is an everyday thing. I actually find myself doing it several times most days from either my phone or camera to my computer. It gets frustrating having to either email the photos from my phone or use an app that takes a really long time to upload. 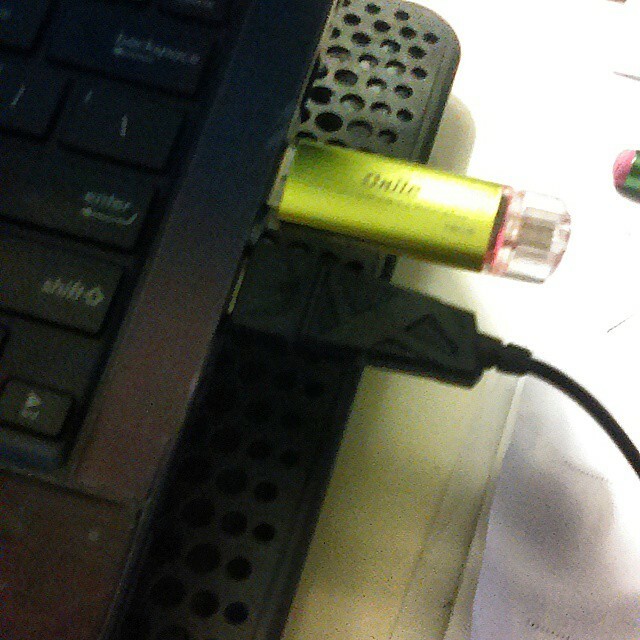 I need something quick and easy, which are two things that the Onite USB device I received is. I can transfer the pics and files in a matter of seconds from my phone to the USB flash drive and then upload them directly to my computer through the USB slot. I can also transfer the computer files or pics or songs to my phone the same way. I love how fast I can do this. This device is just the thing that I've been needing for a really long time. It's very simple to use and holds quite a bit of files on it. I like the color that mine came in---it's a metallic yellow green. The device is the perfect size to take with me wherever I go too. I have no complaints about this product at all.